Two legendary organisations within North American come head to head tomorrow night. Liquid, a team who have looked unstoppable. TSM, a former final regular trying to redeem themselves from a poor 2018. Liquid have become the team to beat within North American League of Legends. Last year they won both the Spring and Summer Playoffs after strong finishes in the regular season. They’ll be hoping to see this type of success again this weekend. This split they found themselves tied for 1st place alongside Cloud9 with a 14-4 record. They started the split with a 7-game winning streak before picking up their first loss. Liquid then proceeded to pull off another 7-game winning streak before losing their final 3 games. They entered the playoffs with the 1st seed, meaning they got a bye in the playoffs. Their first playoff game would be the semi-final against FlyQuest which took place last weekend. As expected Liquid had a strong showing and ended up taking the series 3-0. A win tomorrow night would mean the world to the TSM organisation, players and fans. 2018 was incredibly disappointing for them. It was the first time they failed to make a North American playoff final. Now that they’ve made the final again, they’ll be hoping to go the whole way. Despite heading into playoffs with the 3rd seed, they had a 13-5 record, only one map difference to those tied in first place in regular season. Due to finishing the 3rd place, TSM had to play an extra series in playoffs. However, this extra series could end up working in their favour. They defeated Echo Fox 3-1 and proceed to the semi-final to face off against Cloud9, the 2nd seeded team. TSM found themselves 2-0 down in the series and managed to pull off the reverse sweep and win 3-2, showcasing the true potential and composure the roster has. This game could be tough to find good options, with Liquid being strong favourites to come out on top with 1.45 odds. On the flip side, those that like an underdog can pick up 2.55 odds for TSM to win the series. Betting on the total maps could be ideal in this situation, as even a mad handicap isn’t the safest option in this case. You can get 2.60 odds for there to be over 4.5 maps, meaning the series must go to the last map for you to win your bet. 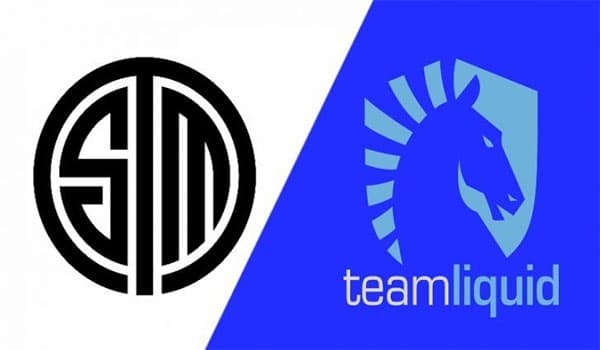 I think Liquid will come out on top, but TSM won’t go down without a fight. Matt has been involved in Esports for the better part of 5 years now, more commonly known by those in the scene as Fozzii. In the past, he has competed at a high level in Esports and also managed teams and organisations, some of which went on to win a Championship. Esports is his passion and it's fair to say he's a fanatic. DreamHack has announced that it’s Counter-Strike: Global Offensive series is making a return to where it all began. DreamHack will be making its return to Malmö, Sweden on October 4th-6th. We provide all kinds of information that you would need to bet on eSports. Sportsbooks Reviews, eSports betting guidelines, eSports bonus offers and lots more. We are always working on improving our site. If you feel like something is missing, please let us know.